Camping in the Greater Madison area provides not only beautiful views, but great outdoor amenities such as lake access for boating and swimming, hiking trails, and easy accessibility and hook-ups. Let the information below inspire your next camping trip! 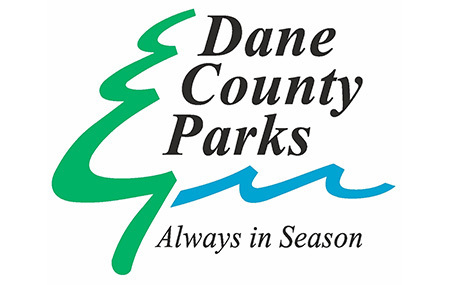 Dane County Parks operates five campgrounds in and around Madison that offer campsites with and without electric hookups. All campsites listed below offer traditional camping and RV facilities. Reservations need to be made five days in advance; otherwise open sites are first-come, first-served. Devil&apos;s Lake State Park has three public camping areas located on the north shore of the lake, and nine group camp sites on the south shore. Each campground has different qualities that have made each of them popular with various annual campers. Activities at the state park include big band concerts, boat rentals, and the North Shore Chateau, a small store with refreshments and tasty treats. Capital Springs State Park incorporates Dane County&apos;s Lake Farm Park, which has a fully-accessible campground of 54 sites. Most of them are suitable for vehicle camping and others are tent sites. Thirty-nine have 50-amp electrical hookups. The campground has showers, flush toilets, and a dumping station. It&apos;s next to the Lussier Family Heritage Center and the Capital City State Trail and just minutes away from downtown Madison and the Alliant Energy Center. The Blue Mound campground is open year round, is located about 25 miles west of Madison, and contains 77 wooded sites, 12 bike/hike-in sites, and a rustic accessible cabin for people with disabilities. Each site has a picnic table and fire ring, and the Military Ridge State Trail is nearby. Toilets, water fountains and the showers are conveniently located throughout the campground. Two electric sites are accessible for people with disabilities. From April 1 through October 31, the Madison KOA offers RV and tent sites with pull-through and full hook-up available. You will also enjoy the luxury of laundry facilities, a coffee lounge, and an in-ground heated pool! If you would like to get in on the fun, but don&apos;t own an RV, just give KOA a call at 608.846.4528 and rent one. If you&apos;re looking for something different from that of traditional camping, Campyard provides a unique experience. Featuring elegant, furnished bell tents and vintage camper trailers, you can enjoy the beauty of nature while still cherishing the comforts of home.